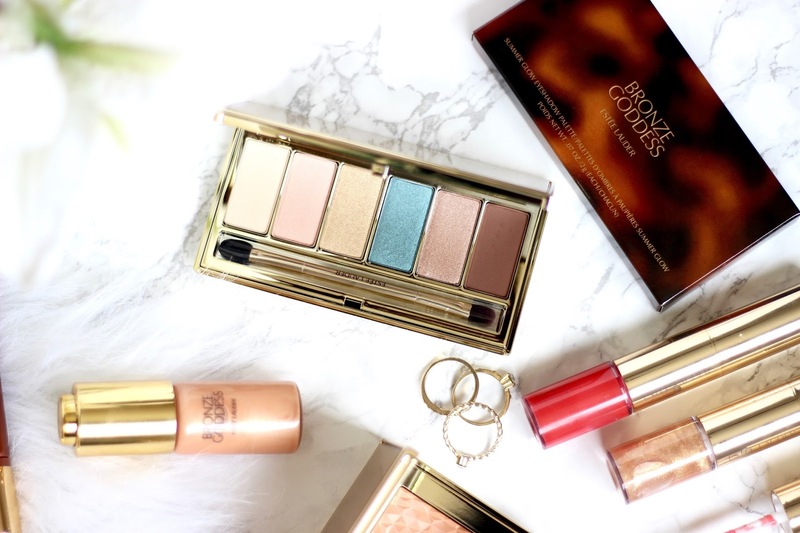 The best thing about moving into spring summer is all the wonderful summer bronze-y collections that a makeup brand comes up with. And just the thought of that warm highlighted sun kissed look is all that gets me super excited about summer. Now in all honesty I’m not a huge fan of getting tanned, but I love the summer glow. 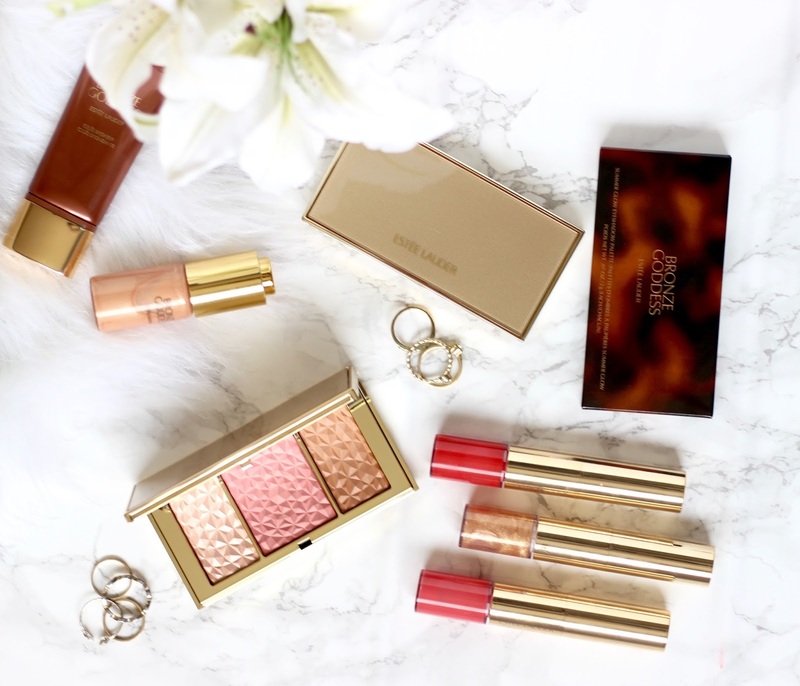 The products featuring this years Bronze Goddess Summer Collection are the signature bronzer that comes out every year, a beautiful highlighter, a blush, bronze, highlight palette, a gorgeous eyeshadow palette and bright lip and cheek on the go summer glow. The Gelee Bronzer is a liquid bronzer, the consistency is quite nice, it’s not too runny or thick. I just love to mix a tad bit into my moisturizer and rub it all over my arms and legs, I just love how glow-y and wonderful my libs look. I do even mix the glow illuminator and it literally feels like I spend a decade on the beach lol. Though I have to say the bronzer is a bit light for my skin tone. 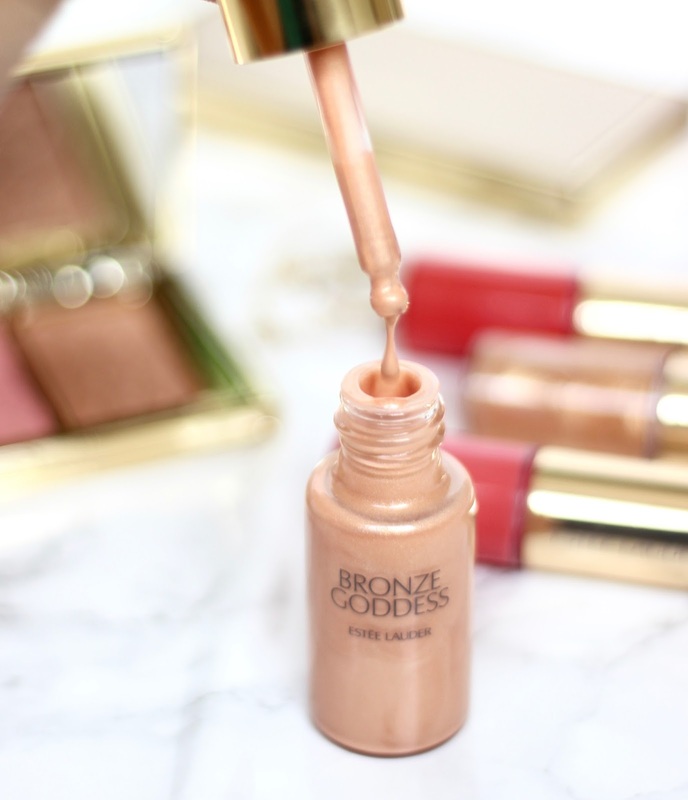 The Summer Glow Illuminator is beautiful, its that beautiful champagne gold liquid, I have been using this non-stop for that gorgeous lit. I’m absolutely loving this illuminator, its quite runny though, so its even nicer to mix it in with the foundation, and just tap on the high points for that extra beautiful glow. Though I would have to say, this doesn’t necessarily last a very long time if worn on its own. But mixed in with the foundation its just a fabulous product. The moment I saw the packaging and pictures of the Summer Glow Multi-Palette all I really wished for the blush shade to be was like the Gelee tease blush which was limited edition and has been haunting me ever since it went out of stock and I never got to get my hands on it. But I feel it’s definitely a lot more lighter and softer than that. 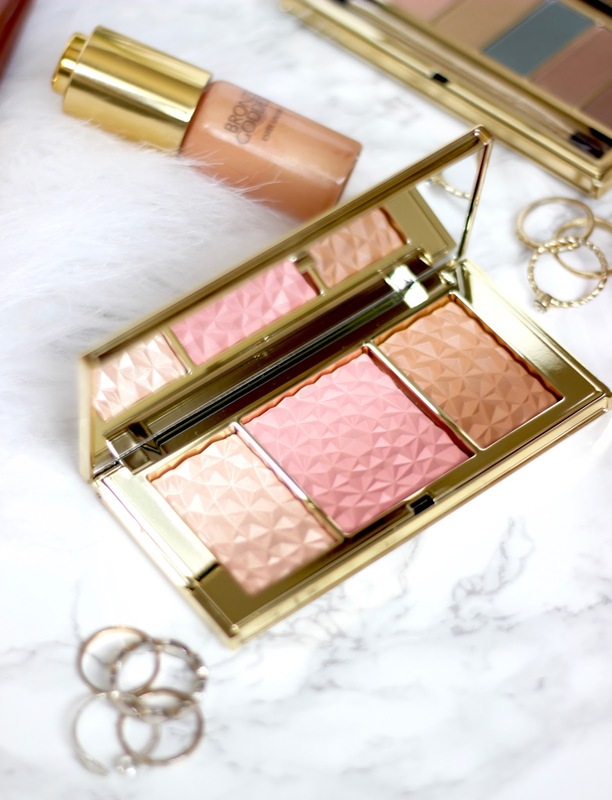 None the less its a beautiful flush of pink on the cheeks, however the bronzer is a bit subtle on my skin tone, but the highlighter is stunning, and shows up beautifully, and paired with the illuminator, its the perfect beach babe look. And I absolutely love the texture of this palette, its to smooth almost creamy smooth. For the Summer Glow Eye-shadow palette, the colors are quite wearable yet fun, I haven’t got around playing with it much, but I absolutely love how it has the neutral shades for a safe look yet that pop of blue makes it for a fun day time look. 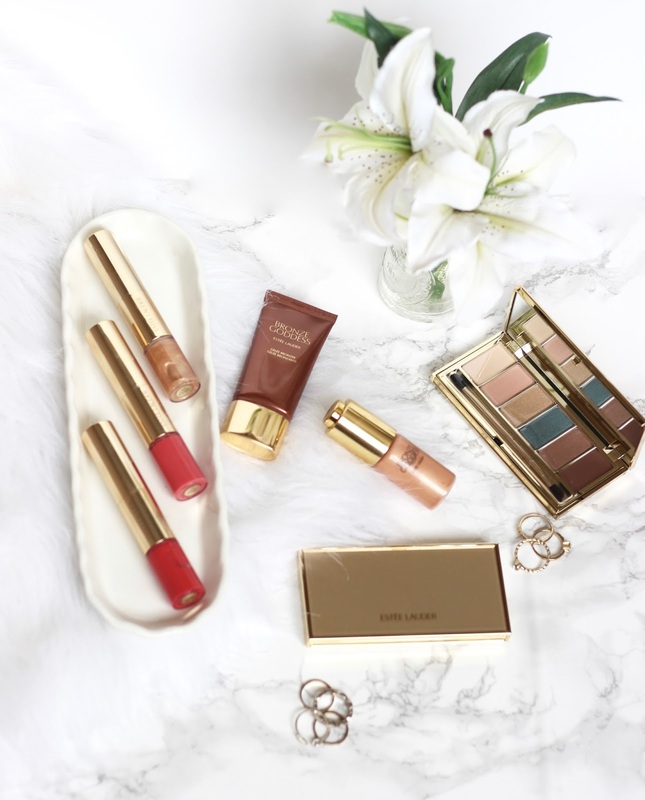 I’m a huge fan of lip products, the glossier the better haha, and these Summer Glow Lip and cheek shades are the star of this collection, well atleast for me. 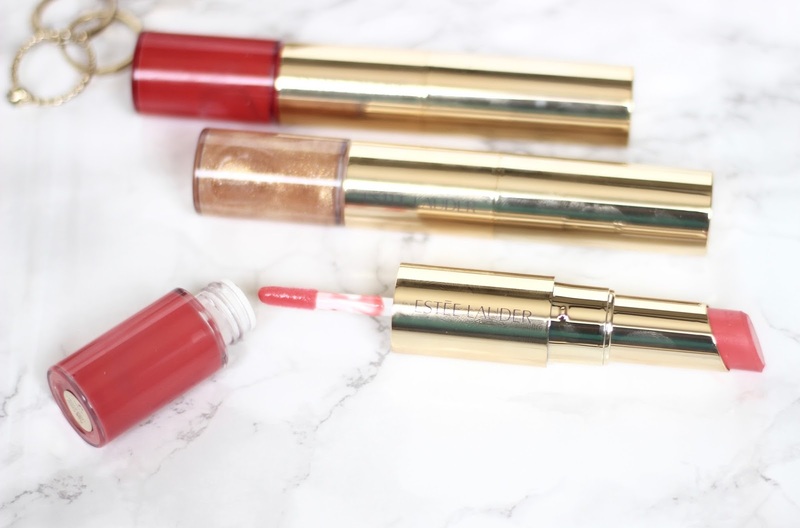 I love the tint and the sheen these glosses have and you can totally rock a bold lip look with these too since the other end of this tube has a pigmented shade, which can be used to add a quick flush of color onto the cheeks – which makes this product such a staple for the travel makeup bag. Now a summer look won’t be complete without a waterproof Mascara and eyeliner, the Sumptuous Extreme Volume waterproof mascara, isn’t as much volumizing, rather its more defining and lengthening, which is exactly what I look for in a mascara, I’m not a huge fan of clumpy spidery thick lashes. I’d much rather stick to well definitely and uber black lashes. Which is all this mascara is all about and I’m absolutely enjoying it. And for the eyeliners they are pretty standard, creamy, waterproof and everything an eyeliner should be. I absolutely am enjoying this collection, especially the Lip and cheek glow and the illuminator. 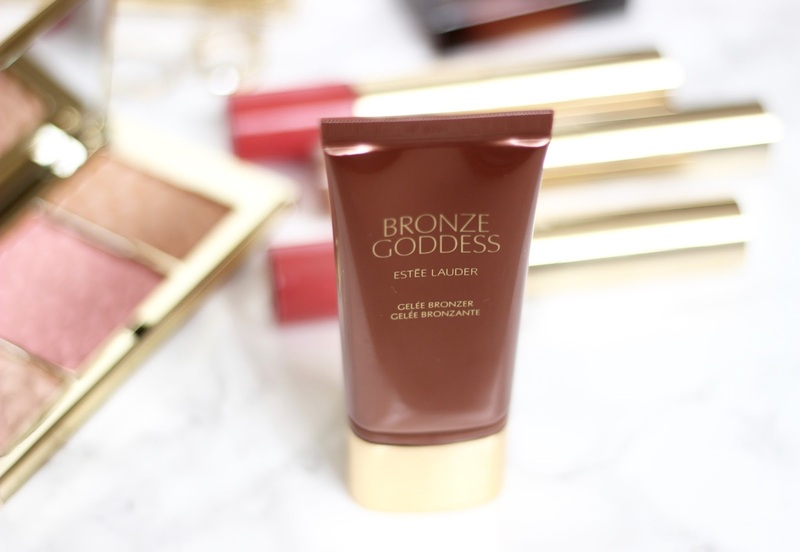 Definitely a perfect summer goddess collection, with perfect packaging. If you are interested in any of these products you might want to grab them before they are gone and keep haunting you for the rest of your beauty obsessed life, (psst they are even on sale at Nordstrom, you might want to click on the linked products to get the discounted price).